Tolstoy had always been obsessed by metaphysics – the fundamental nature of being. Why are we here? Throughout his early years, he tried – like Augustine and St. Thomas before him – to arrive at understanding through reason and logic, but found that no matter how disciplined and rigorous, logical inquiry led nowhere. Tolstoy was no closer to the truth about the meaning and purpose of life than he was before his study of mathematics and history. The problem of experimental science is the sequence of cause and effect in material phenomena. It is only necessary for experimental science to introduce the question of a final cause for it to become nonsensical. The problem of abstract science is the recognition of the primordial essence of life. It is only necessary to introduce the investigation of consequential phenomena (such as social and historical phenomena) and it also becomes nonsensical. If both experimental and speculative science – the only two reasonable and acceptable paths to enlightenment – led to nonsense, the life just have no meaning; and If life had no meaning, then why should one continue living? Life without purpose would be reduced to random acts of vanity, pleasure, and pain. Worse, if life had no meaning, then death had none either. It would simply be a final, irrevocable extinction of consciousness and feeling. Tolstoy wrote about the horror of facing a meaningless death in The Death of Ivan Ilyich. As Ivan finally realizes that he is going to die of his disease, he is paralyzed with fear, and he struggles to find answers. Why is that we were created with intelligence, creativity, and reason only to life a few short years and then be consigned to a muddy graveyard? Why, Ivan, wondered, was he dying? In his punctilious life had he overlooked something? Did he offend, hurt, disappoint, or anger? And even if he did, what had that to do with the finality of death and the emptiness beyond? Tolstoy looked around him and saw that few people were as obsessed with death and the meaning of life as he was; and most found ways to live with finality and erasure. First, there were the ignorant who were too dull and uninspired to even realize that there was a problem. They were unaware of ‘Schopenhauer, Solomon, and Buddha’ nor had they like Augustine and Aquinas struggled through logical mazes to arrive at faith. They were both indifferent to faith and ignorant of science. Tolstoy was certainly not tempted by this approach nor even capable of adopting it. Second, there were the epicureans who understood the hopelessness of life, but who kept angst and anxiety at bay through pleasurable pursuits. Death will certainly come, they reasoned; but it will be a fitting end to a meaningless life, so why not enjoy good food, wine, women, and sunny days without guilt? Tolstoy was congenitally unable to take this path. He was born to think, reason, ponder, and resolve; and this putting off the inevitable and acting as though it did not exist was folly. Third, there were the strong and decisive who saw that life was ugly and evil and decided to take their own lives. Even an unknown eternity had to be preferable to the miserable life they were leading. Fourth and finally are the weak, those who like other understand the futility and meaninglessness of life but who are incapable of doing anything about it. They ‘cling to life that is evil and futile’. They wait for death, hoping that answers or an epiphany will come. “I belong to this group”, said Tolstoy despairingly. By the time he was fifty, he was near suicide. He couldn’t stand the sense of hopelessness and despair, the fear of death, or the intellectual grasp of the futility of life; but he was unable to end it all. During his earlier years Tolstoy thought he had resolved the issue of living in a world without purpose by trying to lead a life of ‘moral perfection’. He did not need the palliatives of religion nor the principles of faith to guide him; nor did he need finite answers to metaphysical questions. It was enough to lead a secular religion of moral principle. What was religion, after all, if it was not a human construct to help order the chaos of human existence? While this seemed to be an approach which was consistent with his intellect, reason, and moral probity; it still left lingering doubts. What was the point of morality in a world without purpose? Did not purposelessness negate morality? As his conversion came closer, Tolstoy understood how faith might be the answer, for it, unlike science or philosophy related the finite to the infinite. While science admitted the infinity of the universe and the finite nature of matter and events within it; it could not answer the fundamental question of why these two opposed conclusions could co-exist. Religion, on the other hand had no difficulty in reconciling them. God is the infinite and after death Man will join Him – the finite will be subsumed into the infinite. Why not, asked Tolstoy. And I recalled the whole course of my mental labor and was horrified. It was now clear to me that for man to be able to live he must either not see the infinite, or have such an explanation of the meaning of life as will connect the finite with the infinite. “I was now prepared to accept any faith so long as it not demand a direct denial of reason”, he said. At the same time he relaxed his demanding and critical view of those who never reasoned to arrive at faith. He saw that tens of millions of people were believers, and hundreds of millions were before them. It was no longer a question of the right or wrong way of coming to grips with death; only a satisfactory way; and for him it was a path of both reason and faith. And I learnt to love these people. The more I came to know their life, the life of those who are living and of others who are dead of whom I read and heard, the more I loved them and the easier it became for me to live. So I went on for about two years, and a change took place in me which had long been preparing and the promise of which had always been in me. It came about that the life of our circle, the rich and learned, not merely became distasteful to me, but lost all meaning in my eyes. All our actions, discussions, science and art, presented itself to me in a new light. I understood that it is all merely self-indulgence, and the to find a meaning in it is impossible; while the life of the whole laboring people, the whole of mankind who produce life, appeared to me in its true significance. I understood that that is life itself, and that the meaning given to that life is true: and I accepted it. Yet Tolstoy still had his doubts and at some level shared with Nietzsche a scorn of ‘the herd’. Both Nietzsche and Tolstoy saw the meaningless of life, but Nietzsche’s Superman took a fifth way – that of acting beyond good and evil in a supreme expression of will. The expression of individual will and power was in fact the only validation of life in a meaningless world. Tolstoy’s character Levin in Anna Karenina shares many of these views and is dismissive of ideas of generosity or compassion. The peasants may benefit from my ambitions to be a successful and wealthy landowner, Levin said to his wife, but don’t ascribe to me moral values I do not have. But again and again, from various sides, I returned to the same conclusion that I could not have come into the world without any cause or reason or meaning; I could not be such a fledgling fallen from its nest as I felt myself to be. Or, granting that I be such, lying on my back crying in the high grass, even then I cry because I know that a mother has borne me within her, has hatched me, warmed me, fed me, and loved me. Where is she--that mother? If I have been deserted, who has deserted me? I cannot hide from myself that someone bored me, loving me. Who was that someone? Again "God"? He knows and sees my searching, my despair, and my struggle." That shore was God; that direction was tradition; the oars were the freedom given me to pull for the shore and unite with God. And so the force of life was renewed in me and I again began to live. I shall not seek the explanation of everything. I know that the explanation of everything, like the commencement of everything, must be concealed in infinity. But I wish to understand in a way which will bring me to what is inevitably inexplicable. I wish to recognize anything that is inexplicable as being so not because the demands of my reason are wrong (they are right, and apart from them I can understand nothing), but because I recognize the limits of my intellect. I wish to understand in such a way that everything that is inexplicable shall present itself to me as being necessarily inexplicable, and not as being something I am under an arbitrary obligation to believe. It is not so much that logic and reason can never provide the answers to the meaning of life; it is that man’s intellect is currently incapable of doing so. “I recognize the limits of my intellect”, he says, implying that with a superior or more evolved intellect Man will inevitably solve the conundrums of life. He does become faithful lightly, and retains his intellectual dignity and character to the end. At the end of A Confession Tolstoy is a believer. “The infinity below repels and frightens me; the infinity above attracts and reassures me….I only look upwards and my fear passes away”. Tolstoy maintained his indifference to religion even after his epiphany. Faith and religion were two different things; and that there was no room for the cant of Orthodoxy within his world view. He came to his conclusions on his own, albeit with a little help from Schopenhauer, Solomon, and the Buddha among others. He took directions from neither Pope nor Patriarch, worshipped at no altar, begged no divine intervention. For him faith was the conclusion of an intellectual journey. It was the only avenue that remained after taking so many intellectual dead ends. For the time being anyway, faith would have do, for living perched over an abyss as he put it, was intolerable. Dostoyevsky’s take on metaphysics was less metaphysical and more traditionally Christian and canonical. He is interested in how each of the brothers Karamazov deal with Christian faith – the devout and Christ-like Alyosha, the rigorously atheistic but supremely intelligent Ivan, or the seemingly indifferent and worldly Dmitri. The Grand Inquisitor chapter of The Brothers Karamazov is a compelling argument against Christianity. The Grand Inquisitor challenges the returned Christ saying that he deceived mankind. He offered them hope of spiritual salvation when what they wanted and needed was relief from their desperately poor, miserable, and ugly life. By offering such ephemeral rewards and promises, he provided the foundation for a corrupt, manipulative, and venal Church. Alyosha and Father Zossima do not agree. Christian love is what Christ taught, and His way of compassion, good, and mercy is the only way. While Dostoyevsky’s arguments are more theatrical and dramatic (and heretical at the time), Tolstoy’s are more nuanced and philosophical and ultimately more interesting and relevant. Anna Karenina is in many ways a potboiler chronicling the loves, lives, and disappointments of the well-to-do of Petersburg; but the character of Levin is different. He is a philosopher, thinker, and searcher like Tolstoy. He is as indifferent to matters of conscience and faith as the early Tolstoy, but has his own epiphany related in the final chapter of the book. Doing good, Levin realizes, is the only way to reconcile individual genius and ambition with moral purpose and perfection. It is surprising to see Levin’s turnaround, for in the novel Tolstoy concerns himself less with Levin’s philosophical progression and more with the denouement of the story of Anna. Above him was nothing, nothing but the sky,—the lofty sky, not a clear sky, but still infinitely lofty, with grey clouds creeping gently across... How can it be that I've never seen that lofty sky before? Oh, how happy I am to have found it at last. Yes! It's all vanity, it's all an illusion, everything except this infinite sky. There is nothing, nothing—that's all there is. But there isn't even that. There is nothing but stillness and peace. Thank God for that! him back to life, because life was good and he saw it all differently now. This new feeling has neither changed me nor suddenly enlightened me nor made me happy, as I imagined it would. It is just like my feeling for my son. There is no element of surprise in it. But it is faith .... no, not faith .... I know not what it is. But the feeling stole into my soul through suffering, and there it is firmly established. I shall continue to be vexed with Ivan the coach- man, and get into useless discussions, and express my thoughts blunderingly. I shall always be blaming my wife for what annoys me, and repenting at once. I shall always feel a certain barrier between the Holy of Holies of my inmost soul, and the souls of others, even my wife's. I shall continue to pray without being able to explain to myself why. But my whole life, every moment of my life, independently of whatever may happen to me, will be, not meaningless as before, but full of the deep meaning which I shall have the power to impress upon it. In place of death there was light. “So that’s what it is”, he exclaimed with joy….Death is finished. It is no more.”  He drew in a breath, stopped in the midst of a sigh, stretched out, and died. 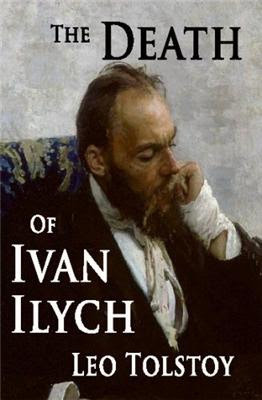 There are no more honest, insightful, and penetrating views of death and dying than in A Confession and The Death of Ivan Ilyich.